Arch? Yes. Dark? Not at all! There’s no shortage of tapas in Leeds. There did, however, seem to be a lack of tapas bars. Most places serving tapas have a decidedly restaurant-y feel, rather than the casual vibe of a bar that also serves food. 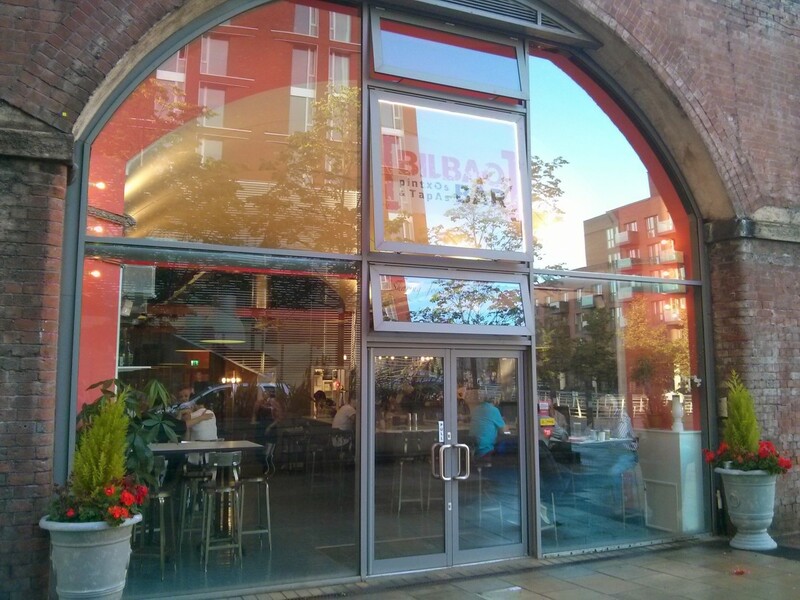 Bilbao, a Basque establishment newly opened in Granary Wharf, has changed that. You’d feel perfectly comfortable coming here just for drinks to start with, then ordering a couple of plates as and when it took your fancy. Though we thought we might only find routine Spanish lagers here, they’re treating Leeds’s beer lovers to a small but varied selection, including Brooklyn, Sierra Nevada, Anchor, BrewDog and Chimay Red. And if you want to stick to the when-in-Rome approach there are two Spanish bottles: Innedit Damm (a “special lager” from the makers of Estrella) or the Er Boqueron which, as best we can tell, translates to “Er Anchovy.” The names makes sense, as it’s made with seawater and has a distinct maritime flavour. You’ll find the obligatory Estrella on tap, along with Dogfish Head DNA. Very easy to perch at the bar and order nibbles if so inclined. 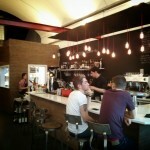 They also offer a number of wines as well as cocktails, highlighting the large collection of Spanish gins. The tapas are generously portioned and tasty, worth a visit just on their own. 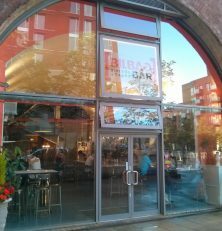 We were disappointed by the lack of beer garden, but the atmosphere inside is very pleasant — light and airy and not dark-arch-like at all. We’ll keep an eye on Bilbao and hope that it thrives. 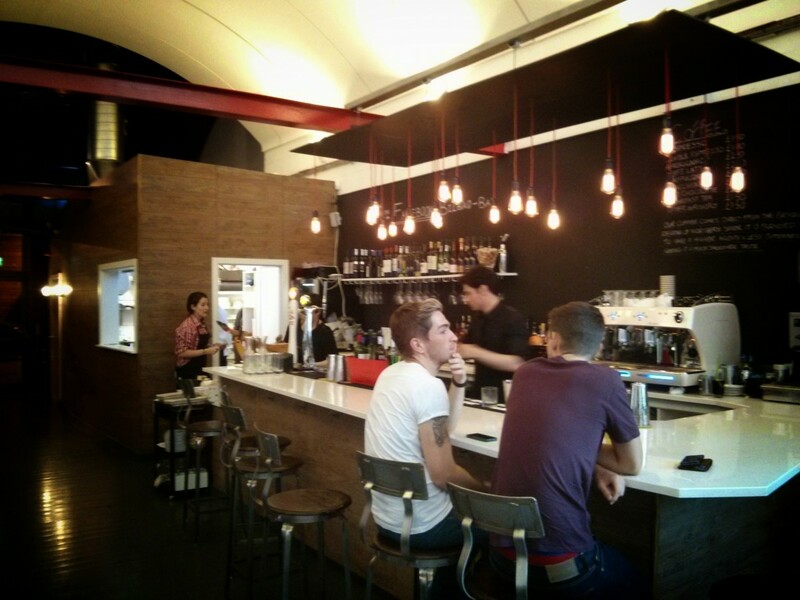 It’s a nice addition to Granary Wharf’s already diverse selection of bars and eateries.